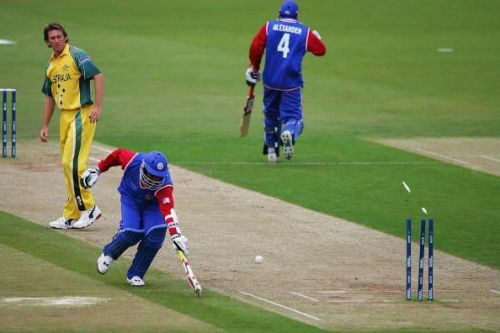 The United States of America were playing their first ever cricket tournament in the ICC Champions Trophy back in 2004. They qualified for the tournament by winning the ICC Six Nations tournament. However, they had a forgetful outing in the Champions Trophy losing both their matches, to New Zealand and Australia. Their second loss to Australia was quite scarring as they were dismissed for 65. Michael Kasprowicz and Jason Gillespie picked up four wickets each while Brett Lee picked up one. The Kangaroos wasted no time, chasing down the target in 7.5 overs by losing just one wicket.